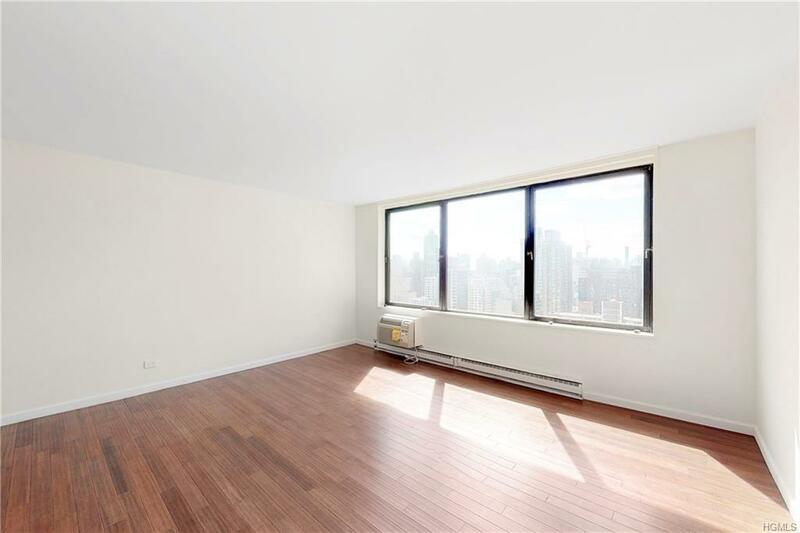 Upper East Side totally newly renovated unit with Large windows that not only allow natural light, but also stunning views of downtown Manhattan. Spacious open living room connected to a cozy dining area. 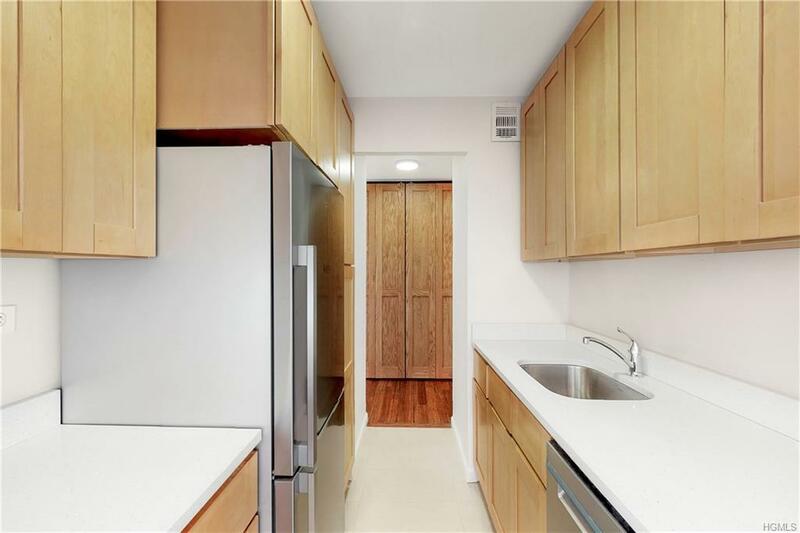 Bamboo flooring throughout. 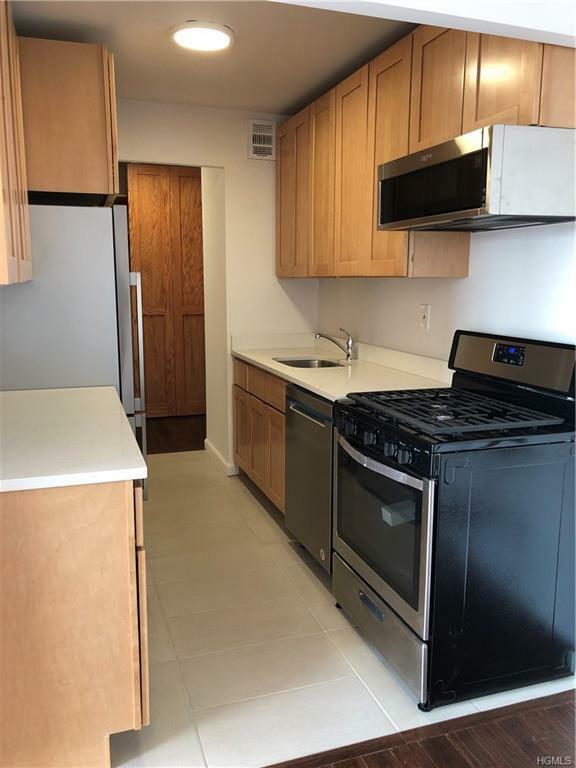 Pass through kitchen with quartz counters, & stainless steel appliances. Building has newly renovated Hallways and lobby. Common charges include heat, gas, & electric. 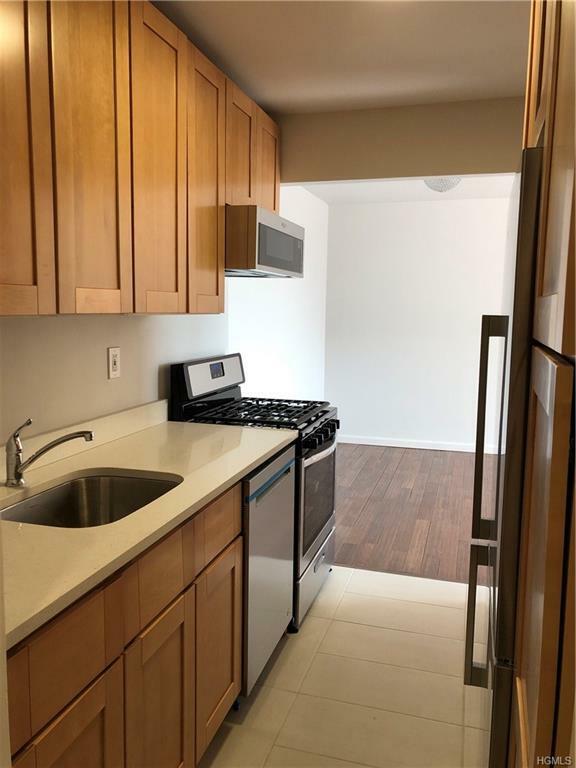 Amenities include 2 story lobby with 24 hour doorman, landscaped garden and playground, sun terrace with BBQ area, valet service, laundry room, on-site discounted New York Sports Club with lap pool for residents, and on-site parking. Storage is rentable for one year terms, the building is cat friendly only. No dogs allowed. Walk to 2nd Avenue subway station.